Integrate electrical schematic design data with the SOLIDWORKS 3D model (SOLIDWORKS Electrical 3D requires SOLIDWORKS 3D CAD) of a machine or other product—bidirectionally and in real time. Design engineers can place 3D versions of all electrical parts into the model and route wires, cables and harnesses in 3D to connect all electrical equipment. 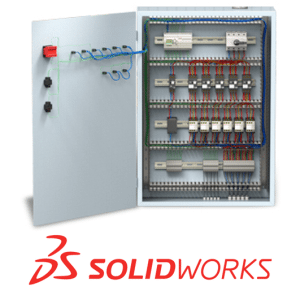 Is SOLIDWORKS Electrical 3D right for you? Let us help you decide.